This is a self-contained set of lecture notes covering various aspects of the theory of open quantum system, at a level of a graduate course. The main emphasis is on completely positive maps and master equations, both Markovian and non-Markovian. A qualitative representation of microstates is established quite independently of the quantum mechanical mathematical formalism. 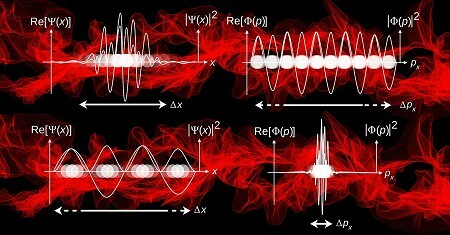 The foundations of an intelligible reconstruction of the Hilbert-Dirac formulation of Quantum Mechanics is developed. These lectures describe the basic theoretical structures underlying the quantum Hall effect. The focus is on the interplay between microscopic wavefunctions, long-distance effective Chern-Simons theories, and the modes which live on the boundary. The book gives a consequent and mathematical formulation to the interpretation of quantum mechanics that is often met among practical physicists. The book ought to be accessible to students that finished the standard course of quantum mechanics. The goal here is to provide an introduction to the physical and mathematical foundations of quantum mechanics. We will provide rigorous treatments of just a few of the simplest and most fundamental systems with which quantum mechanics deals. Here, we derive the formalism of QM from well-motivated epistemic principles. A key assumption is that in a proper physical theory, the introduction of entities or distinctions that are unknowable in principle is in conflict with the theory. Contents: Hamilton's Formalism of Classical Physics; State Vectors and Operators; The Position and Momentum Observables; Quantum Dynamics; The Harmonic Oscillator; Angular Momentum; Central Potential; Density Operator; Perturbation Theory; etc. This document is aimed at advanced students of physics who are familiar with the concepts and notations of quantum mechanics. It tries to bridge the gap between simple analytic calculations and complicated large-scale computations. These notes aim to provide a non-expert introduction to the field of circuit QED, to give a basic appreciation of the promise and challenges of the field, along with a number of key concepts that will be useful for the reader who is new to the field. The following manuscript aims at an introduction to modern methods in relativistic quantum many-body theory. We introduce many-body techniques, using relativistic quantum field theory, emphasizing the so-called real-time formulation. The failure of conventional quantum theory to recognize time as an observable and to admit time operators is addressed. We emphasize the role of the Hamiltonian as the generator of translations in time to construct time states. This text will survey the foundations of quantum mechanics, basic techniques for its application to the real world, and a number of standard examples. It is assumed that you have already had a previous undergraduate course in quantum mechanics. From a general study of the relations between models, meaning the set of variables with their mathematical properties, and the measures they represent, a new formalism is developed, which covers the scope of Quantum Mechanics. Quantum mechanics of many-particle systems. Contents: The problem - and how to deal with it; Some two-electron systems; Electronic structure - the independent particle model; The Hartree-Fock method; Atoms - the building blocks of matter. Expository notes which combine a historical survey of the development of quantum physics with a review of selected mathematical topics in quantization theory (addressed to students that are not complete novices in quantum mechanics). This chapter provides a comprehensive overview of the Bohmian formulation of quantum mechanics. After a historical review, a formal explanation of Bohmian mechanics for nonrelativistic, single-particle quantum systems is presented. The complete set of graduate Quantum Mechanics notes: Postulates of QM; Simple Problems in 1 Dimension; Wave Packets; Harmonic Oscillator and Second Quantization; Systems with N Degrees of Freedom; Classical Limit and WKB Approximation; Symmetries. The author shows how a transformed modern physics curriculum may positively impact student perspectives on indeterminacy and wave-particle duality, by making questions of classical and quantum reality a central theme of his course. With the development of the quantum information interpretation of quantum mechanics, the tendency is to move away from wave mechanics to the more abstract linear algebra version. It is this view of quantum mechanics that is presented in these notes. Quantum transients are temporary features of matter waves before they reach a stationary regime. Transients may arise after the preparation of an unstable initial state or due to a sudden interaction or a change in the boundary conditions. We revise fundamental concepts in the dynamics of open quantum systems in the light of modern developments in the field. Our aim is to present a unified approach to the quantum evolution of open systems that incorporates the traditional concepts. An interesting topic of quantum mechanics is the study of open quantum systems. By it, we mean a simple quantum system, described by one or a few degrees of freedom, interacting with a background characterized by a continuum of excitations. This volume elucidates the consistent quantum theory approach to quantum mechanics at a level accessible to university students in physics, chemistry, mathematics, and computer science, making this an ideal supplement to standard textbooks. This paper introduces one interpretation of quantum mechanics, a modern 'many-worlds' theory, from the perspective of quantum computation. Reasons for seeking to interpret quantum mechanics are discussed, then the specific theory is introduced. By using the general concepts of special relativity and the requirements of quantum mechanics, Dirac equation is derived and studied. Only elementary knowledge of spin and rotations in quantum mechanics and standard linear algebra are required. Statistical classical mechanics and quantum mechanics are two developed theories that contain a number of paradoxes. However the given paradoxes can be resolved within the framework of the existing physics, without introduction of new laws. Contents: Wave Mechanics; Fundamental Concepts of Quantum Mechanics; Quantum Dynamics; Angular Momentum; Approximation Methods; Symmetry in Quantum Mechanics; Theory of chemical bonding; Scattering Theory; Relativistic Quantum Mechanics. This text introduces quantum mechanics from a more abstract point of view than a first quantum mechanics course. Students will gain a deeper understanding of the structure of quantum mechanics and of some of its key points. The topic of quantum noise has become extremely timely due to the rise of quantum information physics. This review gives a pedagogical introduction to the physics of quantum noise and its connections to quantum measurement and quantum amplification. These lecture notes cover undergraduate textbook topics and also additional advanced topics: EPR and Bell; Basic postulates; The probability matrix; Measurement theory; Entanglement; Quantum computation; Wigner-Weyl formalism; etc. Lecture notes for an upper-division quantum mechanics course: fundamental concepts, one-dimensional potentials, central potentials, angular momentum, the hydrogen atom, time-independent perturbation theory, time-dependent perturbation theory, etc. This book deals with the kinematics of diffusion processes. The dynamical equations are derived from a variational principle, and interference, the asymptotics of free motion, bound states, statistics, and spin are described in classical terms.